Don't you love it when you accidentally invent a technique you love??? That's what happened with this piece - mostly down to the fact I am totally impatient! 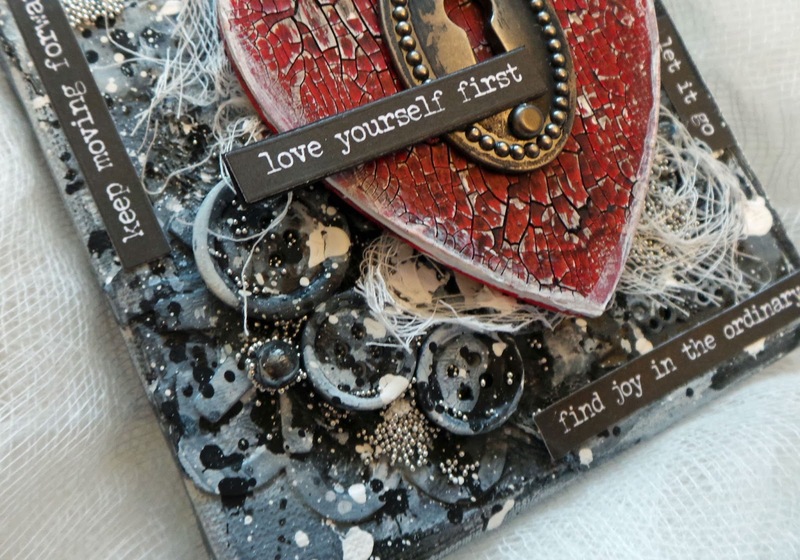 The effect you see on the heart is created with DecoArt Media Crackle Paste, Fluid Acrylic and Antiquing Cream - I love how aged and weathered it looks! I'm calling it 'shabby crackle' and I've stepped out the process in this video. I am trying to appeal to people like me with an attention span of zero with my vids, so it's short and quite fast paced! I'd love to know your thoughts on it. Here's a little more on how I made the background, which isn't covered in the video. This is what the canvas looked like right at the start - I just layered some random bits and bobs - mostly what was lying about on my desk - with some gel medium. 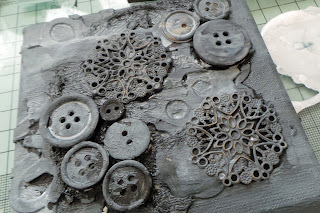 I added black and white gesso and mixed them to create various tones of grey. 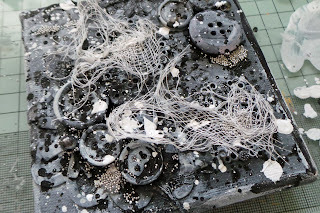 Paint splatters were added with watered down gesso - again black and white. I did some big fat splats and some micro spray using a toothbrush (an old one - gesso doesn't taste nice!). Some bits of cheesecloth and micro beads give extra texture. 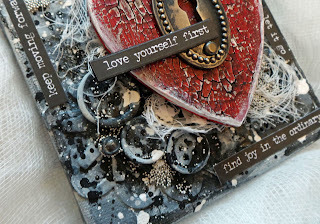 I embellished the heart with a Tim Holtz keyhole embellishment and word stickers. Hope you have enjoyed my tutorial today. You can find my YouTube channel here - there's not much on it yet but there hopefully will be soon! Great tutorial, will definitely be trying this! 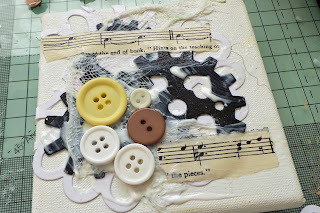 Looks great- going to watch your crafty process on the video ! Awesome project!!! Loved the video. Reminds me to use my crackle paste!!! Beautiful project. Loved the video. 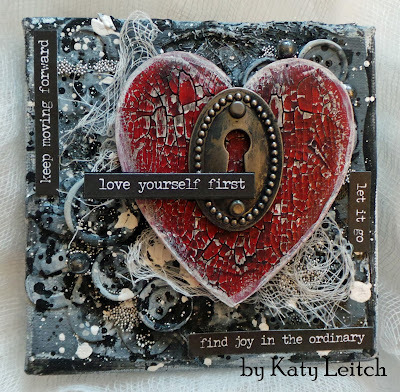 Beautiful piece Katy, and I loved your video - short and sweet, with everything we need to know! 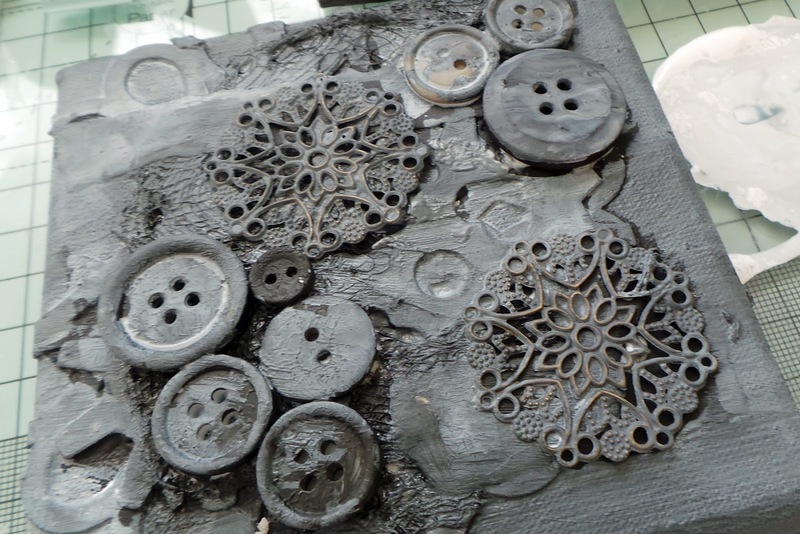 lovely project - thank you for sharing. Awesome! Love your video, too! 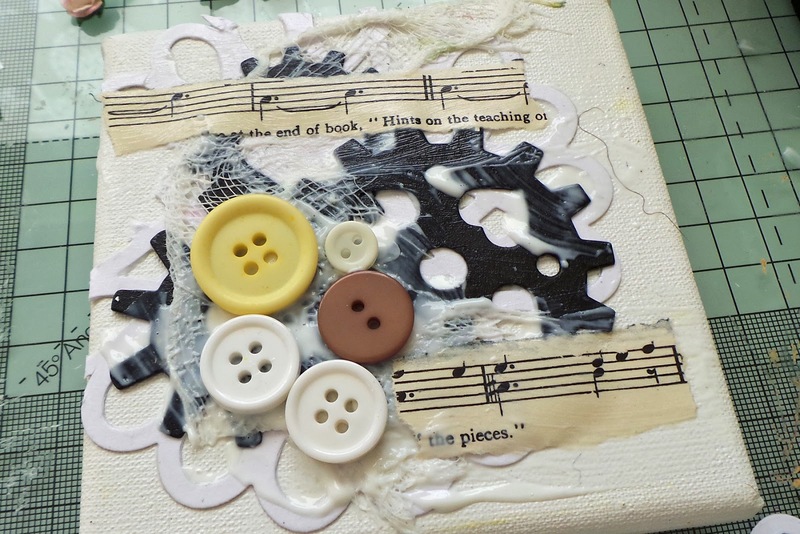 Love this, the crackle effect,the collection of buttons and gears and such painted in shades of gray, and the word strips...add up to a gorgeous creation. Just brilliant, Katy! Love every tiny spot and detail!!! Oh how I LOVE this! Excellent and beautifully executed. Wonderful and gorgeous design! 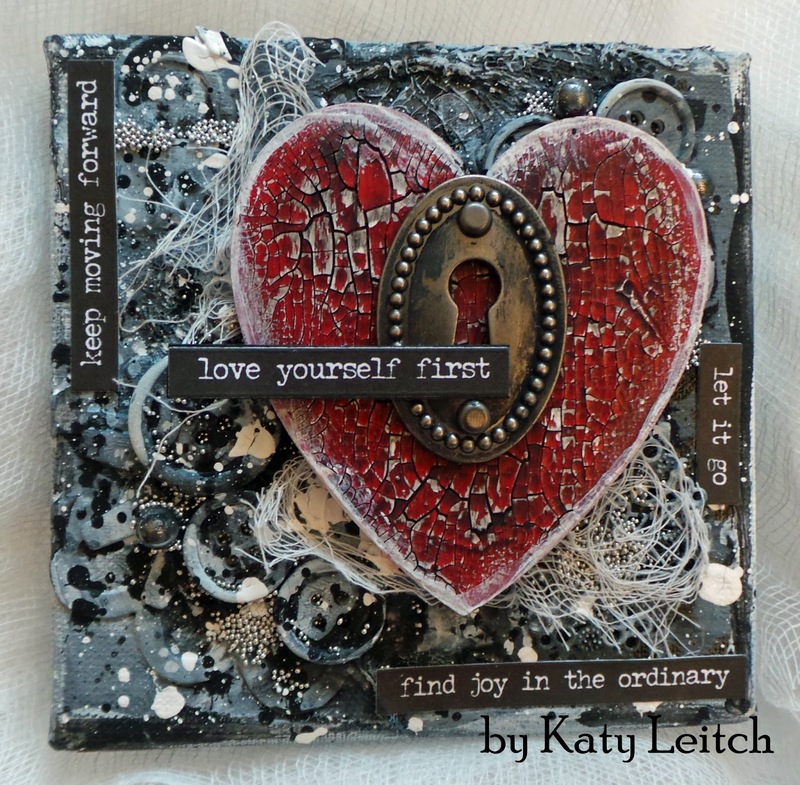 Such a fantabulous textural masterpiece with a brilliant crackled heart! Off to see the video, and I am with you on short attention spans. Lol!